Grottel font by Rebecca Hurst (The Northern Block Ltd type foundry) is a fine and balanced Sans Serif family designed in the Grotesque morphology and structure. It’s inspired by the 1860s aesthetic movement’s cult of beauty, but interpreted in a well balanced functionality, rather than pursuing beauty for its own sake. The result is a contemporary typeface with pure construction, strong personality, and professionally designed details. A high-end typography for top-line graphic design projects. 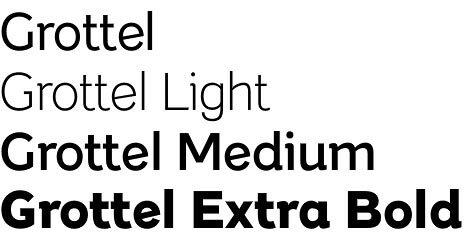 Both beautiful and legible, Grottel font family comes in five weights, ranging from Light to Extra Bold, plus manually edited kerning, carefully constructed ligatures and alternative characters (such as G, R, a, g, j). Multilingual support offers a full European character set. Rebecca Hurst joined The Northern Block foundry as a type design apprentice in 2013. Her passion for typography and diligence to detail have not gone unnoticed and she has received a first class honours. The Northern Block type foundry is based in Newcastle-upon-Tyne, UK, and established by the graphic designer Jonathan Hill. Later the graphic designer and illustrator Mariya Pigoulevskaya joined Hill’s studio as a type design apprentice, and later becoming a part of The Northern Block team. Their vast and fast-growing font collection is distinguished by clean and geometric modern aesthetic and functionalism. 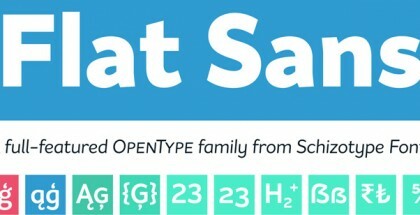 Visit their Merel font, Schar font, Aina font, Loew font, Tautz font, Bitner font, Qiber font, Acrom font, Nauman font, Uninsta font, Modum free font, Lintel free font.